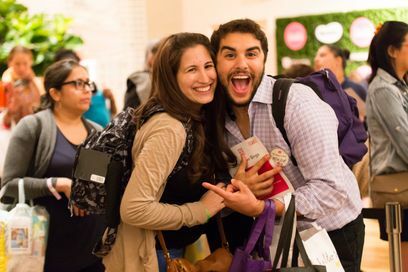 Big City Moms values the relationships with its exhibitors, sponsors, and attendees, and as such are taking increased efforts to protect them from ‘suitcasers’ at our events. Suitcasing is an extremely unfair practice to our paying clients and attendees who choose to work with Big City Moms. Purchase a ticket as an attendee to get access to our valuable attendee base and solicit their business from the aisles of the event floor or nearby the entrance/exit of the event. Solicitation includes engaging in sales-focused conversations, handing out flyers, and distributing business cards to our attendees. Purchase a ticket as an attendee to get access to our valuable sponsors and exhibitors and solicit their business during the event, or immediately upon completion of the event. Any individual or company who attends a Big City Moms event and enacts in suitcasing will be asked to leave immediately. Our staff and brand ambassadors have been asked to alert our on-site leads of any suitcasing. Suitcasing at a Big City Moms sponsored event is fully prohibited.